Just 240 kms south of Bangalore, Karnataka, and around 80 kms from Mysore in the southern part of India lies Bandipur National Park and Tiger Reserve. Read below for further details on Bandipur Package and about Bandipur forest itself. Bandipur National Park established in 1974 as a tiger reserve under Project Tiger, is a national park located in the south Indian state of Karnataka. It was once a private hunting reserve for the Maharaja of the Kingdom of Mysore but has now been upgraded to Bandipur Tiger Reserve. The park spans an area of 874 square kilometers (337 sq mi), protecting several species of India’s endangered wildlife. 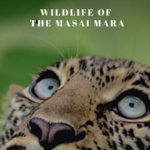 Together with the adjoining Nagarhole National Park (643 km2 (248 sq mi)), Mudumalai National Park (320 km2 (120 sq mi)) and Wayanad Wildlife Sanctuary (344 km2 (133 sq mi)), it is part of the Nilgiri Biosphere Reserve totaling 2,183 km2 (843 sq mi) making it the largest protected area in southern India and largest habitat of wild elephants in south Asia. Bandipur is located in Gundlupet taluq of Chamarajanagar district. additional meals. in-room dining, bottled water etc. Day1: Pick up from Bangalore and transfer to Bandipur National Park in private AC car. Reach Resort and Check in and rest. After Lunch gear up and leave for first Wildlife Safari. Evening Back to Resort. Dinner. Lights off and day ends. Day 2: Early Morning wake up call, get ready and leave for second Wildlife Safari. Post safari back to resort, have your breakfast, rest. Have Lunch around 1 pm. After lunch leave for third Wildlife Safari. Evening Back to Resort. Dinner. Lights off and day ends. 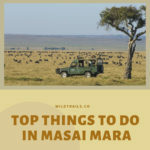 Day 3: Early Morning wake up call, get ready and leave for Fourth Wildlife Safari. Post safari back to resort, have your breakfast, Check Out luggage and leave for Bangalore by Private AC Vehicle. ** in Bandipur its always a mix of canter, & open jeep safaris. 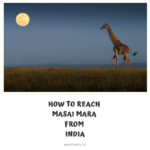 For complete details about the sanctuary, kind of mammals & birds to expect there, weather conditions, how to reach there, distances from various towns & cities, recent sightings, information about nearby attractions, recommended accessories to carry with you, complete details about every animal/bird found in this forest and to get all recent sighting images and tweets from this sanctuary, do download WildTrails India App.